For many music lovers, Detroit is best known for the ‘Motown Sound’ a genre influenced by gospel vocals and driving bass lines. The Motown story began with Berry Gordy, Detroiter and music lover, who launched the record label Motown Records in 1959. Like many recording studios at the time, it used its resident band to back most of the tracks it recorded. It was this band, composed among others, of The Funk Brothers and bassist James Jamerson, who gave the signature sound to Motown's records. However Detroit’s music scene was well established long before the arrival of Motown, the city has a remarkable jazz history that ended up becoming a major influence on the development of Motown as a genre. Jazz emerged within the African-American community in the first two decades of the 20th century, a mix of the ‘society band’ and blues traditions. In the 20s Detroit played an important role in the development of big band jazz, thanks, in particular, to the McKinney’s Cotton Pickers, a prominent jazz band which did national tours and helped shape this new music scene. Jazz found a permanent place in the Detroit culture and today its range of clubs, festivals and concerts give it a lively and exciting jazz scene. It’s also the location for the world’s largest free jazz festival - the Detroit Jazz festival which sees some 300,000 fans flock to the city to see live performances, talks and jam sessions. This venue claims to be the world’s oldest operating jazz club, active since 1934. Baker’s has presented local and major jazz artists, and its acoustics and intimacy—sitting only 99—along with its art deco furnishing, make a distinctive place to enjoy a great jazz act. Now in its twelfth year, Detroit's Jazz Cafe at Music Hall once declared itself the city's best-kept secret. Going under the honorary name change of ‘Aretha's Jazz Café’, the venue may be less of a secret now but still claims to be the "keeper of the cool’. Aretha's Jazz Café has been home to many musicians, poets and artists so sit back, relax or dance to their changing jazz season. 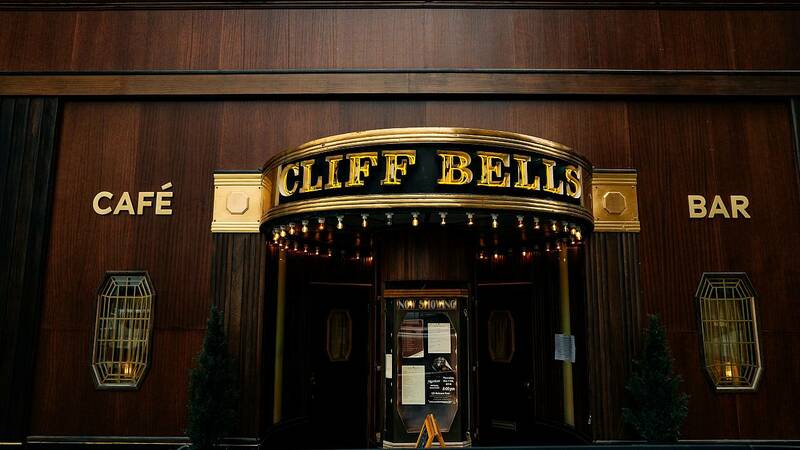 One of our favourite jazz clubs in Detroit was Cliff Bells, one of the oldest jazz venues left standing in the city. The club takes pride in its ‘killer shows’, which you can enjoy in its art-deco interior with a classic drink. During his tour of the US, Foy Vance visited Cliff Bells, where he met with talented jazz artist Alexis Lombre. Watch the video above to see more.